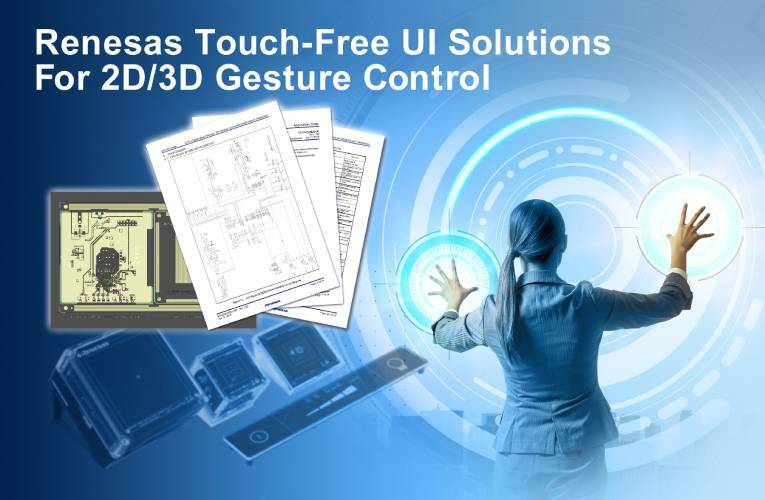 Renesas Electronics launched two new touch-free user interface(UI) solutions which are based on Renesas’s capacitive sensor microcontrollers (MCUs) and support the development of UI that allows users to operate home appliances, as well as industrial and OA equipment without touching the devices. It will simplify the design of 2D and 3D control-based applications along with detection of in a 2D coordinate system and in 3D space, respectively. The touch free solutions are emerging and have several advantages over touch solutions such as if the users’ hands are wet, when the controls are out of reach, or when it is not safe for the user to touch the controls, then the touch free solutions makes it easier to overcome all these limitations. This features make it possible for appliance and equipment manufacturers to quickly develop touch-free interfaces that increase the added-value of their products in terms of both equipment convenience and design.